Have you ever heard of Pushmo? It’s a puzzle solving title from Nintendo’s Intelligent Systems. I’ve always had an interest in the series, but never picked one up. Until now. Nintendo sent out a free trial of Stretchmo to basically anyone that owns a 3DS. I figured I’d check it out and in the seven starter levels that the game gave me, I was hooked. I ended up buying all four of the level packs for roughly $10 and I’m so glad that I did. It comes with 250 levels and additional ones can be unlocked. Classic Nintendo characters made cameos in the game. 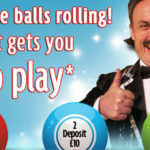 As you might expect, this is a lot of gameplay and it’s easily worth the money. This is one of the things that I love about Nintendo. 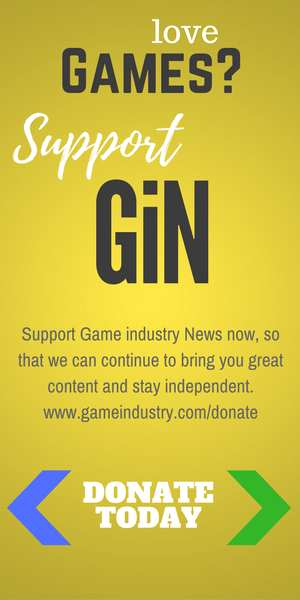 They offer a good amount of content for the price and I’m not afraid to try out new games from them because they’ve done so well in the past, and will hopefully continue to in the future. 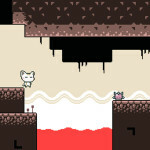 Stretchmo is a puzzle platforming game that puts players in the role of Mallow and his friends. These guys attend an amusement park that is filled with challenges for players and will definitely have them scratching their heads at some points. 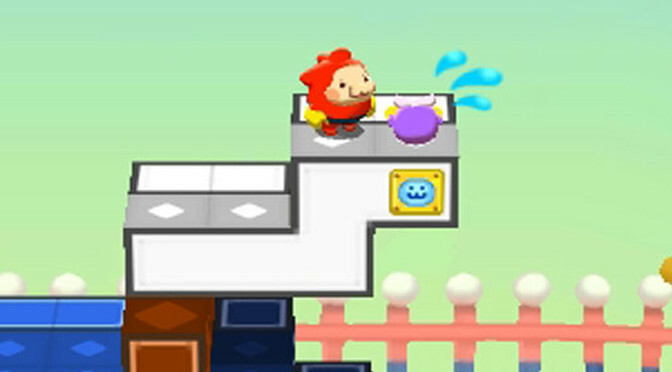 The basic idea behind the gameplay is that players are presented with levels that can be pulled and stretched out to create new platforms and climb higher. Reaching the top and releasing the goal will have players completing the level. The game does a really good job at guiding players through the first few levels without leading them by hand. This results in a smooth progression that will have players learning the basics and mastering the game at an even pace with the puzzles they are presented with. One of my favorite sections of the game is a theme park that includes 8-bit sprites of classic Nintendo characters in the form of puzzles. These puzzles are the hardest (outside of the final area that is unlocked after beating the rest of the game) in the game and really challenge players to think in all three dimensions. There’s also an area in the game called Stretchmo Studio. This is unlocked when any of the areas in the game are purchased. However, to fully take advantage of it, players need to buy all the areas. 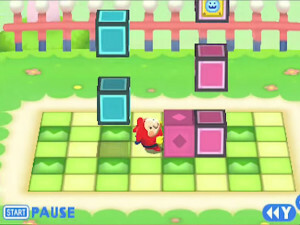 This is due to the different gadgets that are found in the four areas of the game and are used to solve puzzles being unlocked after seeing them in a level. Some puzzles are hard, but others can be fairly straightforward. Creating Stretchmo puzzles is an entertaining pastime. 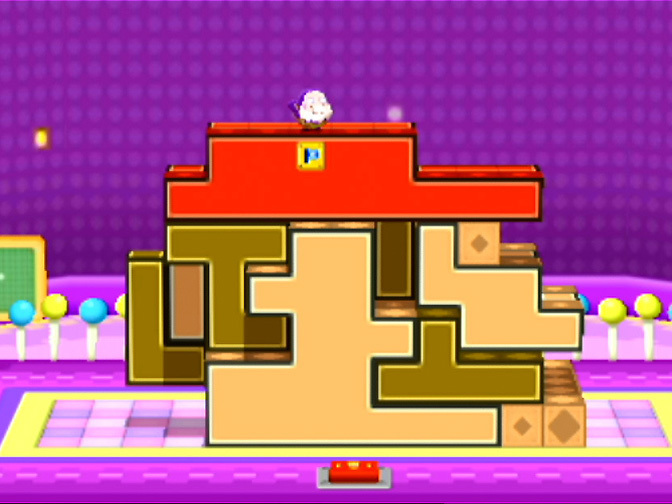 To make sure that trolls don’t create impossible levels, players must be able to solve their own before being able to share them. Sharing is as simple as clicking a button to have a QR code for the level created. Downloading levels is as easy as scanning another person’s QR code. The graphics of Stretchmo are entertaining. The game is filled with bright, bold colors that really do make it feel like a theme park. 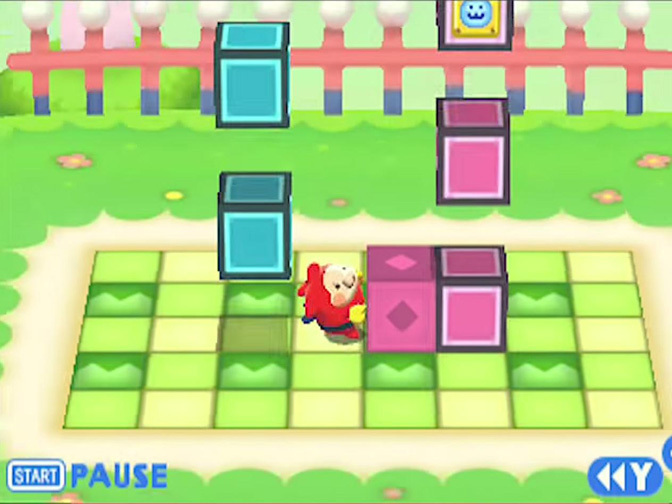 Also these bold colors help the different elements of the puzzles stick out better and make it easier for players to keep track of their progress. 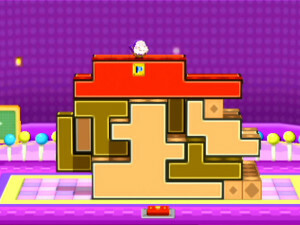 The characters also don’t get lost in the puzzles easily due to being round in comparison all the square blocks. The audio in Stretchmo is enjoyable. The music is really replacing and fits perfectly with the puzzle-solving focus that the game has. Sound effects are also handy as different audio queues let players know what they can and can’t do in the game without much confusion. Overall, I really enjoyed my time with Stretchmo. It’s actually the first of Nintendo’s “Free to Start” games that I’ve played and I’m impressed with it. If the company can keep this kind of quality up with its other Free to Start titles, then I may not feel so bad about buying into the business model. There’s a lot of content in the game and it offers real brainteasers for all ages. Maybe I’ll have to look into the other Pushmo games now that I’ve played this one. 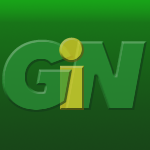 Overall, Stretchmo earns 5 GiN Gems out of 5! 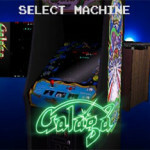 Browser-based gaming: Is there a future?